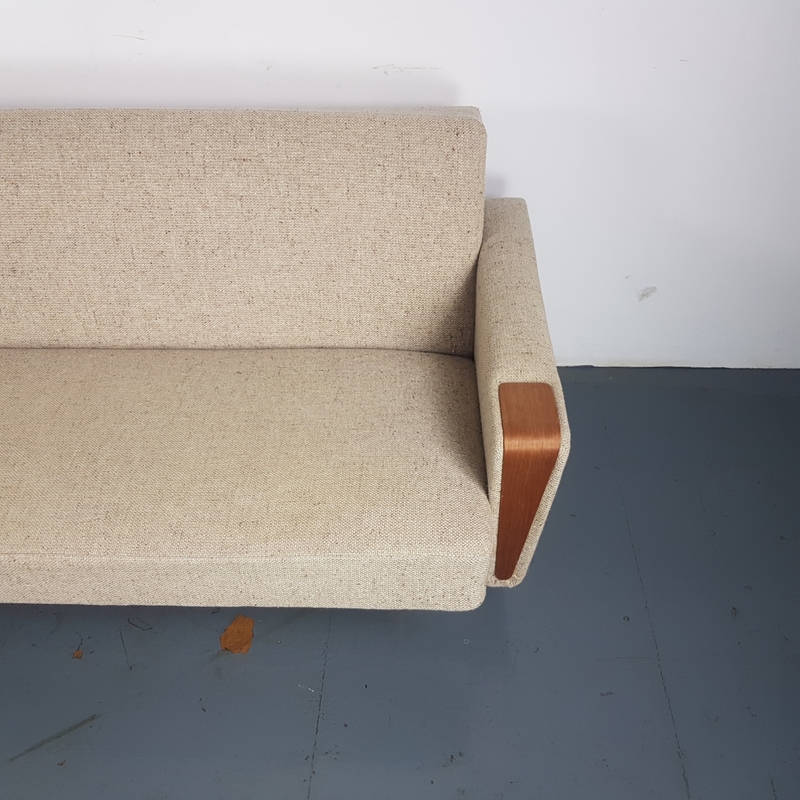 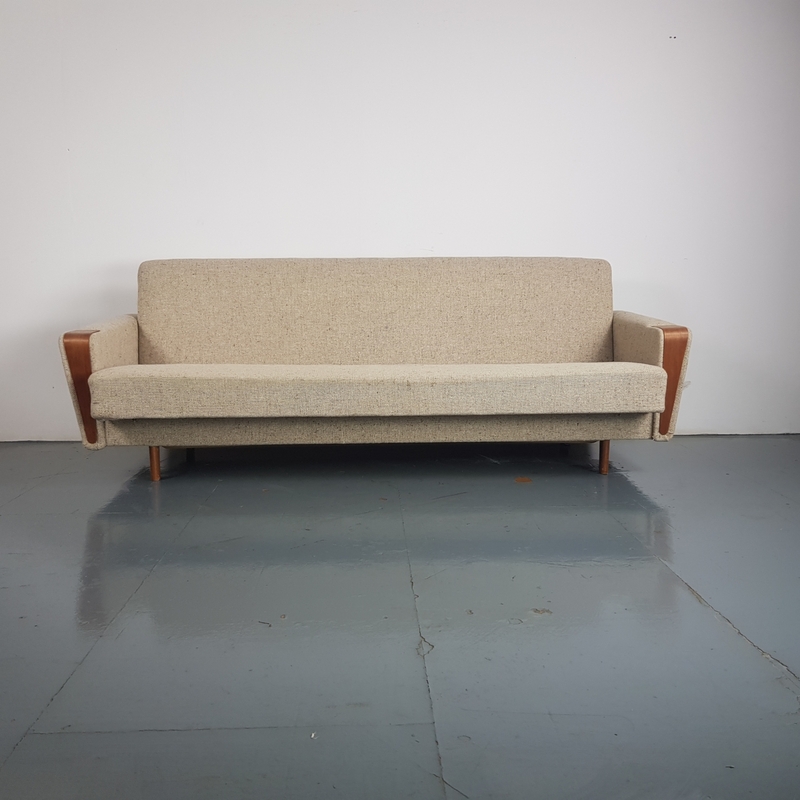 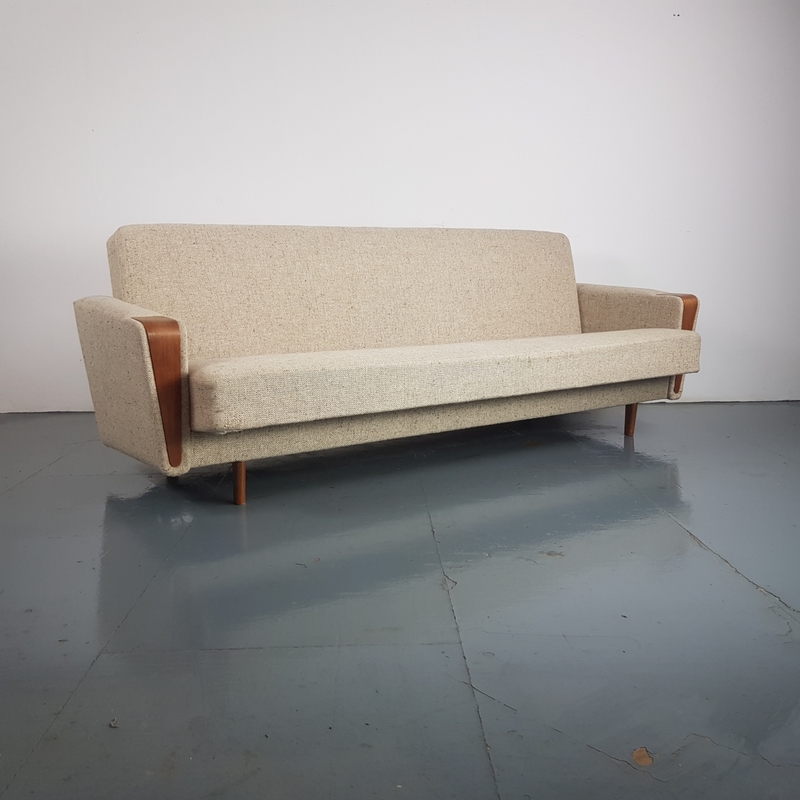 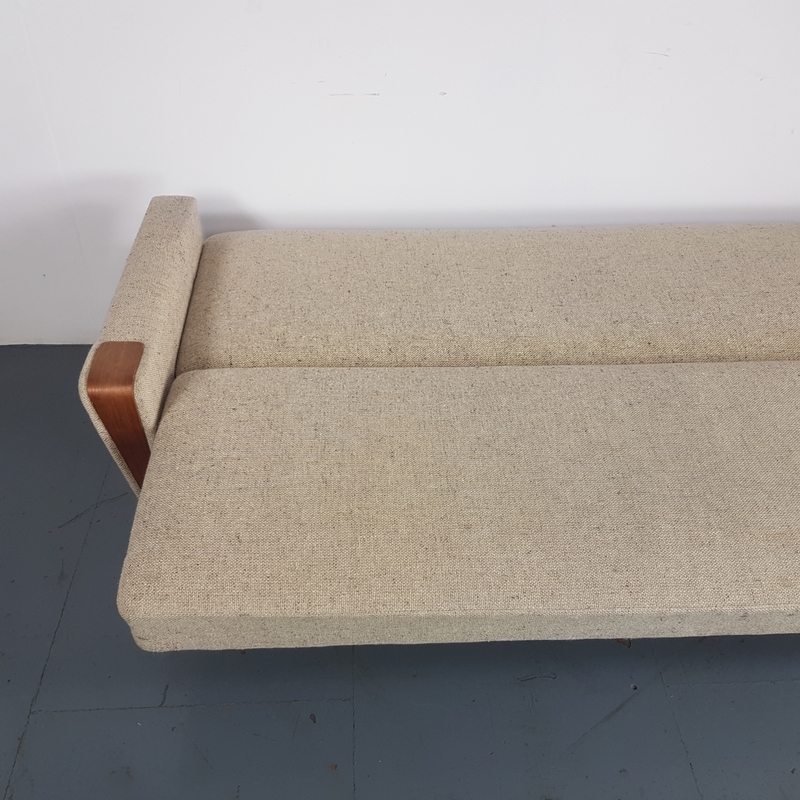 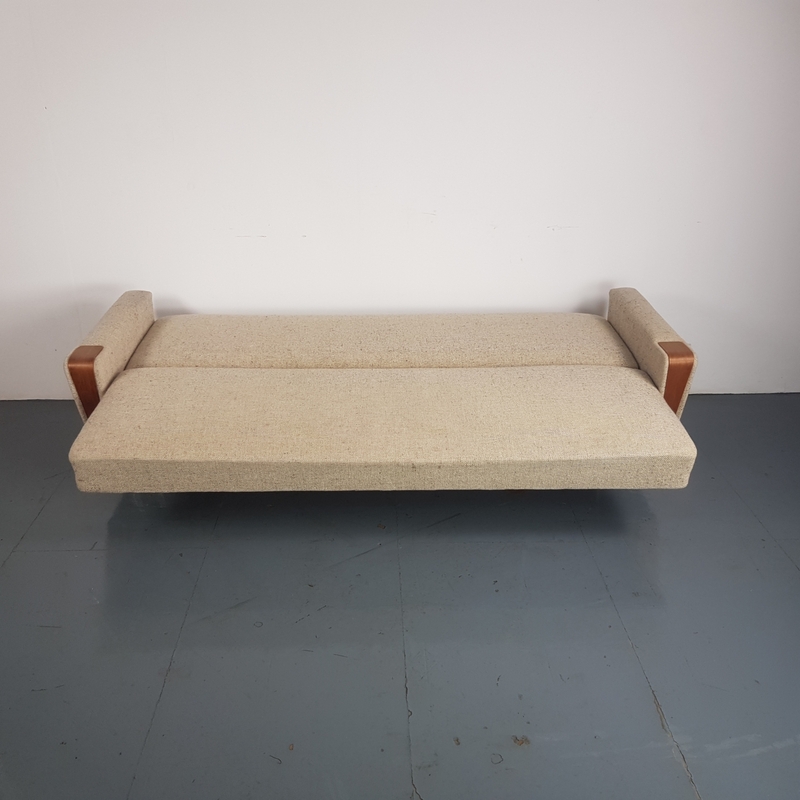 Vintage Danish 1960s sofa bed. 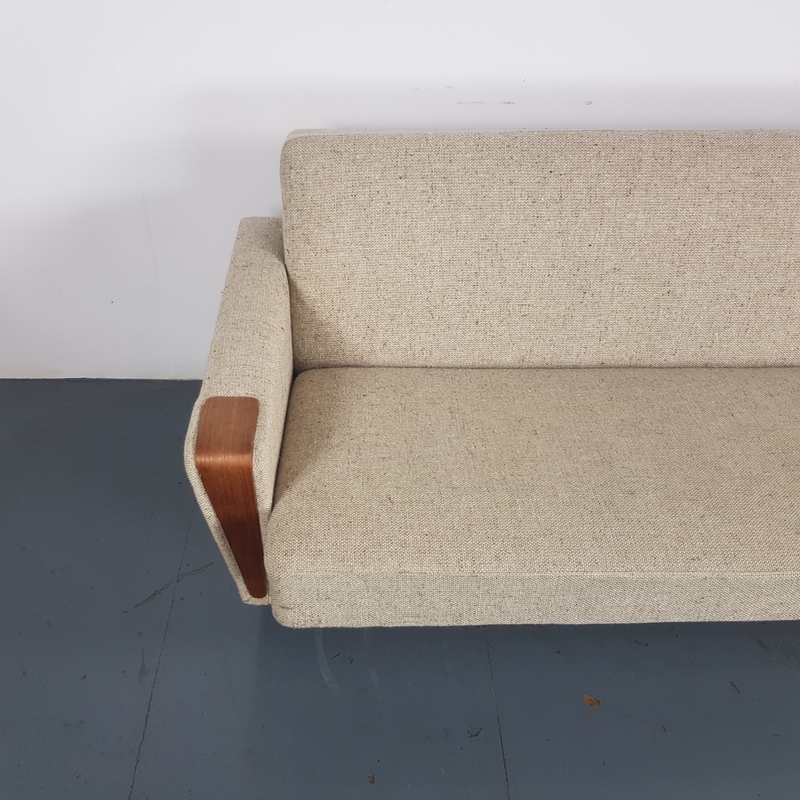 The sofa has been recently reupholstered in a light grey fabric. 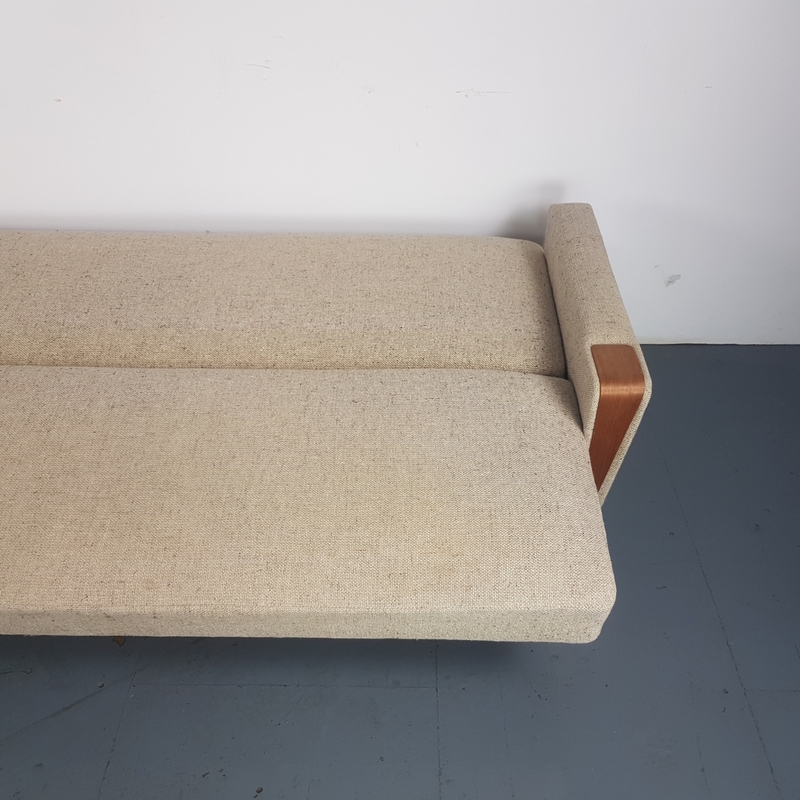 The back can be folded down to create a sofa bed. 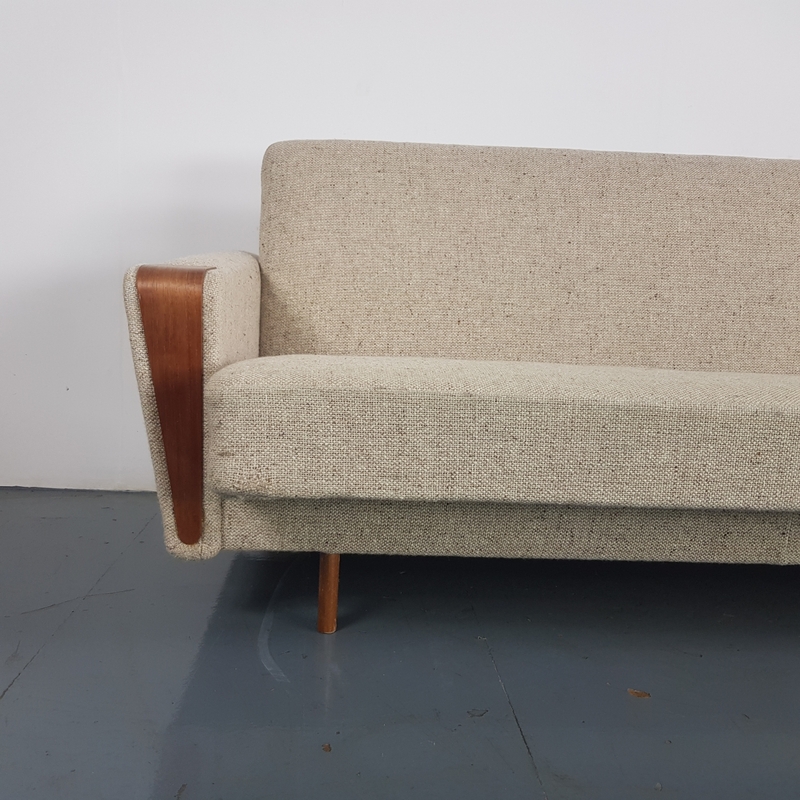 Very comfortable spring-loaded seat, teak arms and legs. 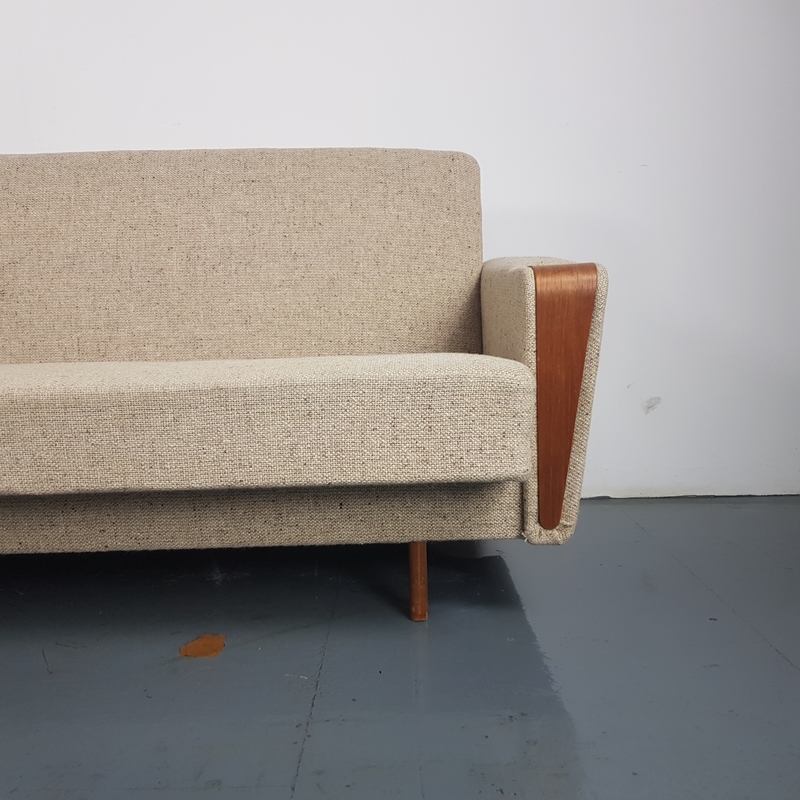 Overall in very good vintage condition, with some small signs of wear and tear, commensurate with age.